It was established to assimilate the growing demand of a new casual bistro that is well-designed and stylish yet informal. 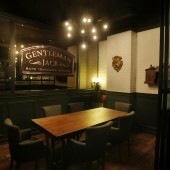 The design intent is to reminisce the 1920s classic American atmosphere in an enjoyable environment. The use of dark timber panel, exposed white brick, timber floor, mosaic, classic furniture, and vintage light fittings, illustrates the timeless style while the integration of materials such as rustic metal gives the space a more contemporary look. Adorned with vintage pieces such as gramophone and suitcases from the owner's personal travel collectables, the richness of elements offers a profusion visual stimulation. The restaurant is divided into 4 zones; semi outdoor dining area, indoor dining, a private room, and bar with its stunning 12m length granite top bar counter featuring a large mural and a DJ station. 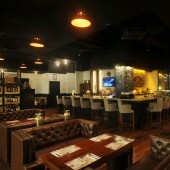 A wine display featuring wine crates neatly lined against a rustic metal rack is exhibited amidst the dining area, offering yet another visual attraction while letting the customers easily choose the wine. A careful application of lighting enhances a dramatic yet cozy ambiance throughout the space. The stretch of metal framed window along the facade allows a fusion of daylight into the interior while presenting an unobstructed view of the outside. Regional support through our regional network and global connections, ED Design Group is able to provide prompt overseas support to our clients, as well as maintain international quality and services standards, and most importantly assist our clients’ marketing efforts in achieving a global brand consistency. 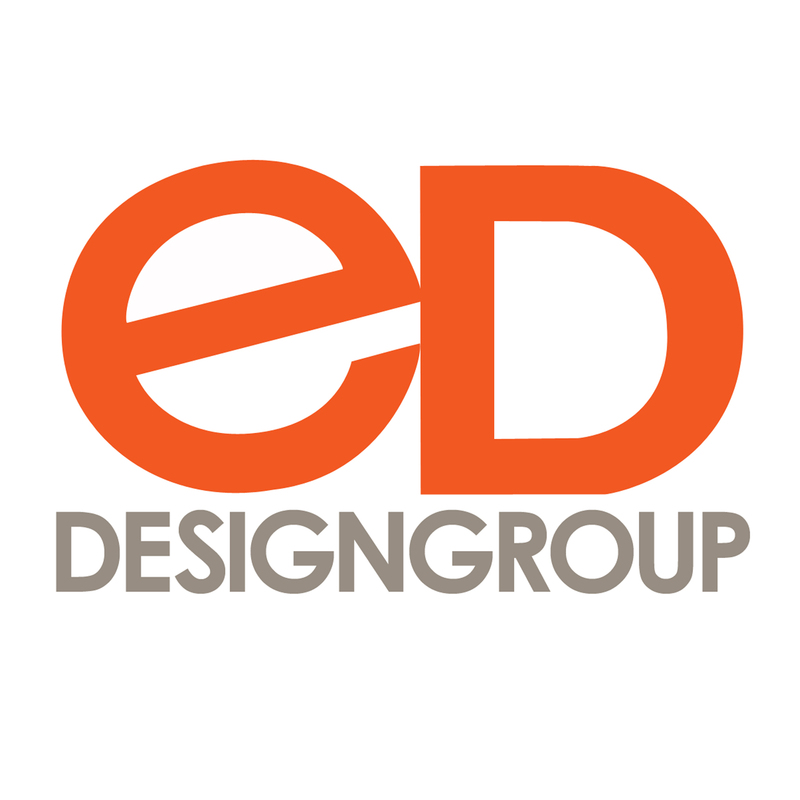 At ED Design Group, we strive towards delivering world-class services and total image development for our clients. 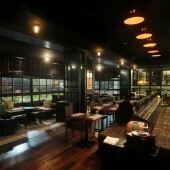 Capital Restaurant & Lounge by Emin Chong is a Nominee in Interior Space and Exhibition Design Category. · Click here to register today inorder to be able to view the profile and other works by Emin Chong when results are announced. 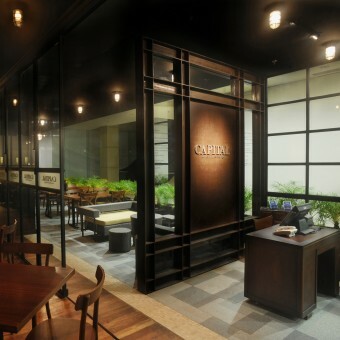 Capital Restaurant & Lounge by Emin Chong is Winner in Interior Space and Exhibition Design Category, 2012 - 2013. · Press Members: Login or Register to request an exclusive interview with Emin Chong. · Click here to register inorder to view the profile and other works by Emin Chong. Did you like Emin Chong's Interior Design? 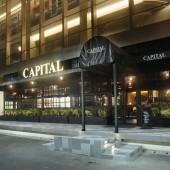 Did you like Capital Restaurant & Lounge? Help us create a global awareness for good interior design worldwide. Show your support for Emin Chong, the creator of great interior design by gifting them a nomination ticket so that we could promote more of their great interior designs.